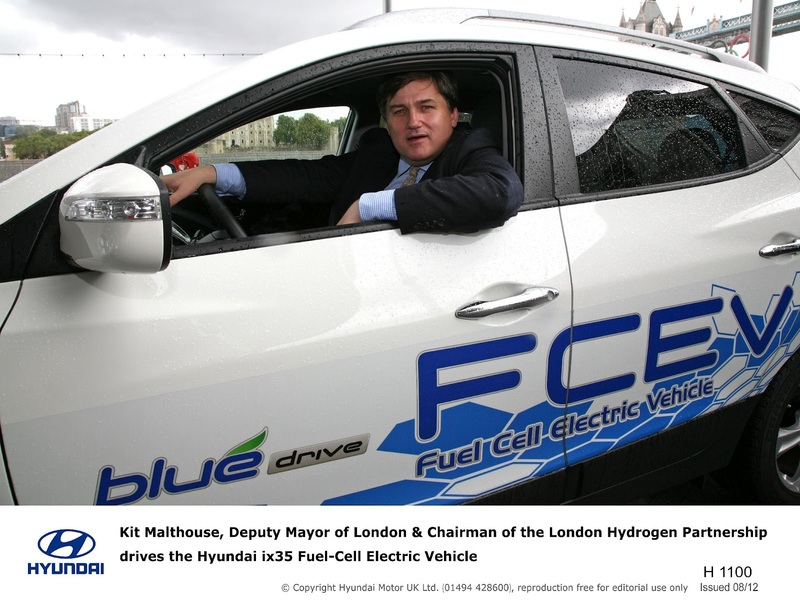 Hyundai showcased its latest-generation hydrogen fuel-cell technology at the ‘Investing in Future Transport’ conference held at London’s City Hall on Friday 17th August. In front of an audience of policy makers, investors and industry representatives, Dr. Sae Hoon Kim, Hyundai’s Principal Fuel Cell Research Engineer, explained the company’s strategy for sustainable future mobility, and presented the innovative zero-emission Hyundai ix35 fuel-cell electric vehicle. Hyundai is the only automaker ready to commercialise its fuel cell vehicle and plans to do so by the end of 2012 with an initial production run of 1,000 fuel cell vehicles. Hyundai will supply fuel cell vehicles to government and private fleets leading up to mass production, scheduled for 2015. Hyundai’s vision and strategy have earned it recognition as one of the Top Global Green Brands of 2012 in Interbrand's ‘50 Best Global Green Brands’ report. Placed 17th overall, Hyundai was one of the highest-ranked automakers. Interbrand made particular mention of Hyundai’s industry leadership in zero-emission technology through advances in hydrogen fuel-cell development.